Hi all! Hope you are all having a beautiful fall season. It has been an Indian summer here in Colorado this year and I absolutely love it! Our hives been able to linger here in Colorado a few more weeks because of the gorgeous weather but they are about to make their trek out to California to gear up for the almond pollination season to begin. The snow is about to fly here so we better get these girls out to Cali so they can continue to thrive and work hard! I wanted to chit chat about a new product that I’m sure you have seen on social media. I have received countless of comments about this new hive called The Flow Hive. I admit, it looks pretty cool but that’s about as far as my enthusiasm will go with this new product. Now remember, these are MY opinions but also a general consensus of a lot of professional operations. So the whole premise of the flow hive is that it was invented by two Australians who wanted to create something that was easy, no mess, no fuss, no expensive equipment and little time to harvest your honey without disrupting a hive by cracking it open. They pounded the social media pavement to raise funds to bring their product to market. Kudos to them! They did an amazing job with creating a buzz around their product. Although I may be envious of their marketing powerhouse I knew right away that the actual flow hive goes against our beekeeping practices and was hugely targeting the urban beekeeping market. This type of concept doesn’t jive with most professional beekeeper because it is absolutely essential for us to see what the inside of the hive is doing in order to help them thrive. Pro beekeepers have to be hands on and the hive’s health is our main concern. It may sound easy to the average joe but in all reality you would end up with an unhealthy hive and you’ll have a huge mess on your hands. Listen people, beekeeping is hard work. It is one of the last industries in the agricultural world that can not be modernized by equipment to make the work load less daunting. It is physical and back breaking work and you constantly need to be ahead of the game with your treatments and work schedule to maintain a healthy hive. Professional beekeepers know that you can’t just throw a hive in your backyard and it will thrive without some sort of maintenance and attention. All my life I have been around beekeeping. 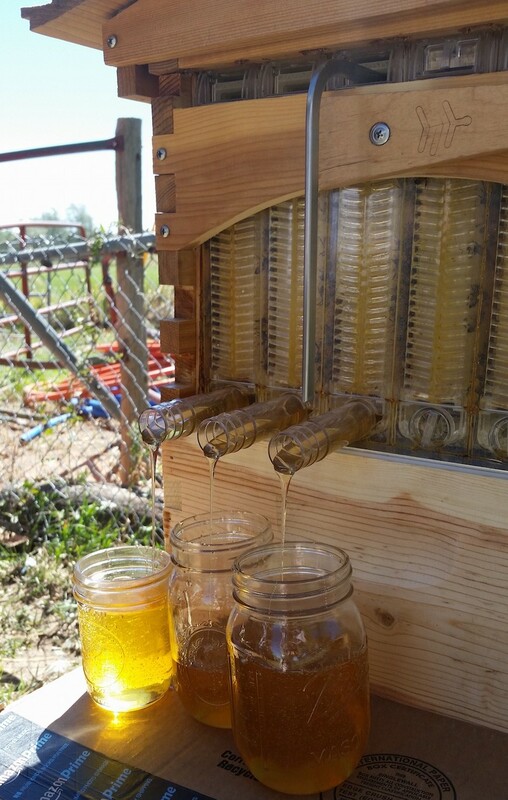 The flow hive takes away the magic of beekeeping I have grown to love. It diminishes the element of respect, patience and attention you must have on the nature around you. I understand it brings awareness to those who did not grow up with beekeeping like I did but this concept loses so much of the beauty and promotes the detachment of beekeepers and their bees and really pushes this towards the concept of factory farming. Call me old fashioned but I was raised to respect the history of how we do things and do not want to lose the art form of beekeeping. Don’t get me wrong. I love and appreciate when people stop their every day thoughts to worry about how the bees are doing. Everyone knows that bees have been on the decline but this flow hive is not the answer. This invention does not address the loss of bee habitat or the devastating varroa mite. Those are the major issues people should try to tackle in order to save the bees. I have read through many reviews that this very expensive hive ($700 to be exact….ouch!) ends up having so many problems that many have only been able to use it for one season. Now that’s some pricey honey!! So all I can say is buyer bee-ware! This is a hefty purchase but will it be worth it? I truly don’t think so but I guess time will tell. Until then, we will continue to enjoy our time in the beautiful bee yards just listening to the bees a buzzin’. That is music to my ears and would never give that up for an easier method. Thanks for joining me! Let me know your thoughts or experiences!